Many law firms handle Social Security Disability or Long Term Disability claims and appeals as a part of their overall practice. 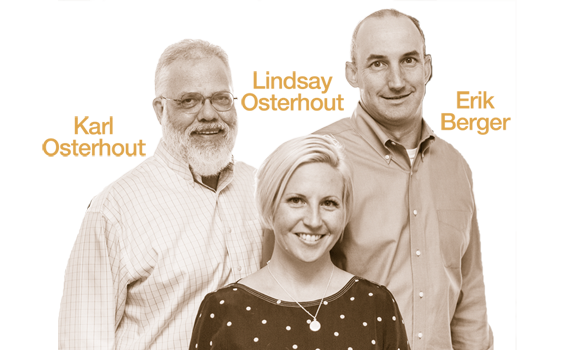 At Osterhout Berger Disability Law, our practice is devoted exclusively to Social Security Disability (SSD) and Long Term Disability law. It is all we do. We have handled more than 30,000 Disability cases. The chances are excellent that we have handled a claim similar to yours. For a free consultation to discuss your claim with an experienced attorney, call Osterhout Berger Disability Law today. 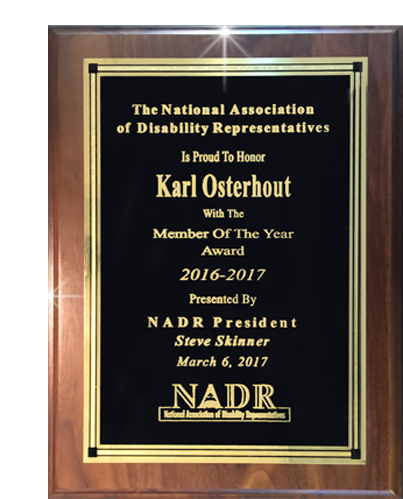 Osterhout Berger Disability Law is proud to announce that our Managing Partner, Karl Osterhout, has been named the 2017 Member of the Year by the National Association of Disability Representatives (NADR).